"The hotel was clean, and the employees were friendly. 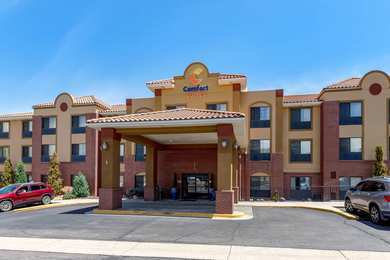 Great place to stay.2018-03-26"
"The hotel staff accommodated my needs and even checked to make sure I was happy with the room.2017-03-02"
"The hotel clerks were pleasant and always available. Well done breakfast in a relaxed environment.2017-01-12"
"The hotel was clean and quiet, and the room was lovely, large, and comfortable. Friendly staff. Breakfast was good, and the attendant was nice and helpful. I'd send my family and friends here.2016-04-26"